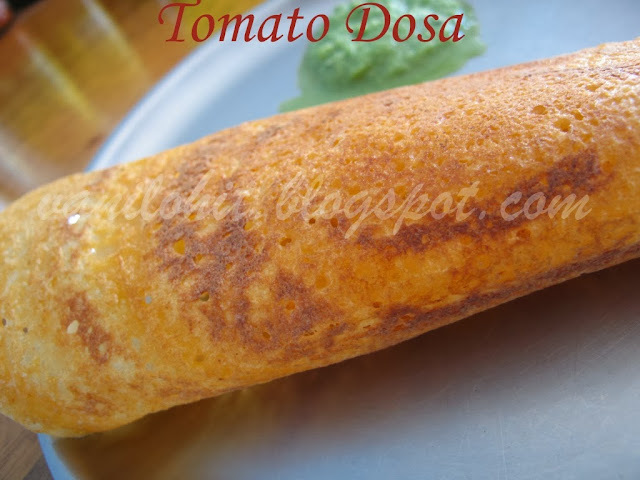 Dosa is one of the most common breakfast item in South India. 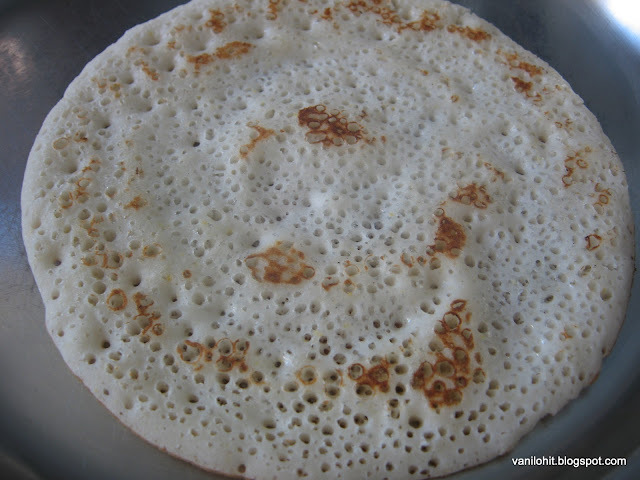 South Indian people are good at making varieties of dosas. 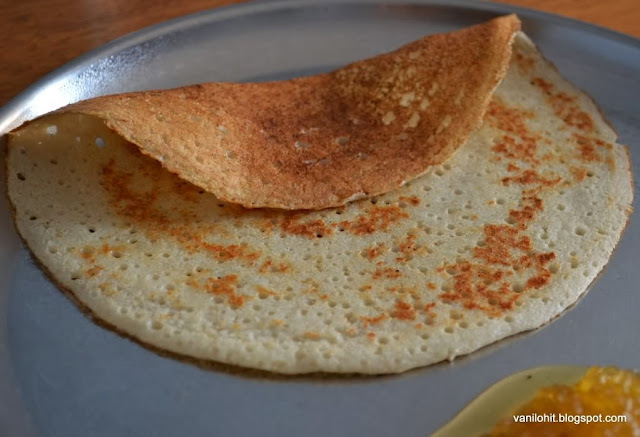 In rural places like my native, they prepare dosas using different vegetables which are available locally. 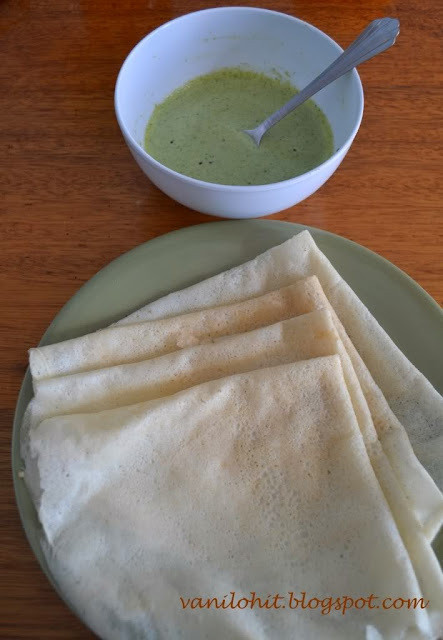 Colocasia Stems Dosa or Kesuvina Dantina Dose is one such dosas which will be prepared mainly after the rainy season has started when plenty of colocasia plants are grown in the backyard. 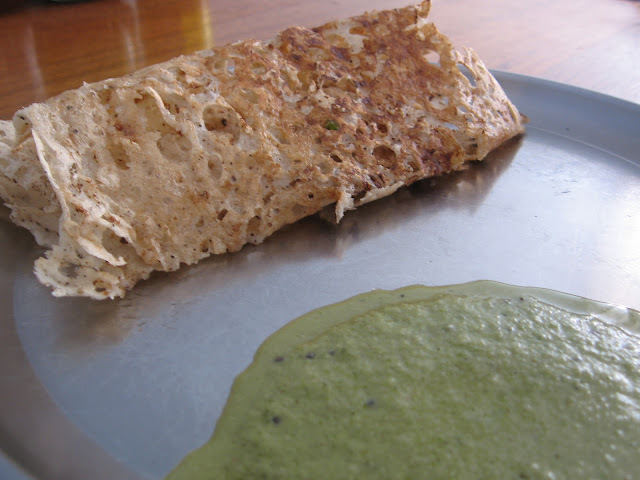 Colocasia Dosa is the main dish for Gangashtami festival, which will be celebrated at my native place. Here in Australia, sometimes we will get colocasia plants in the farmers markets. When we buy them, I would love to prepare my native style dishes using them. One of them is Colocasia Stems Dosa or Kesuvina Dantina Dose. 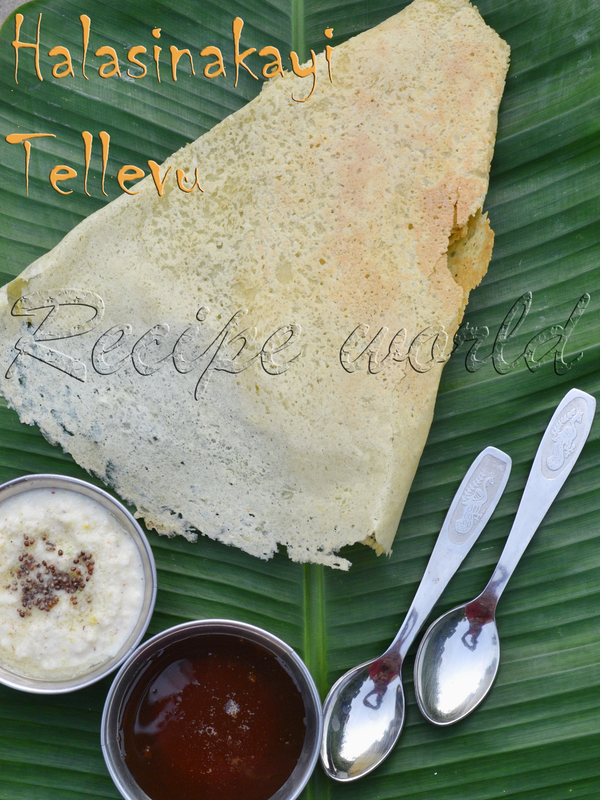 Do try this sweet dosa and enjoy eating them with butter! Wash the rice and soak it in water for 2 - 3 hours. Transfer the chopped Colocasia Stems into a vessel. Add salt and jaggery for taste and cook it covered on low flame till soft. Don't add any water, the water content in the Colocasia Stems will be sufficient to cook them. 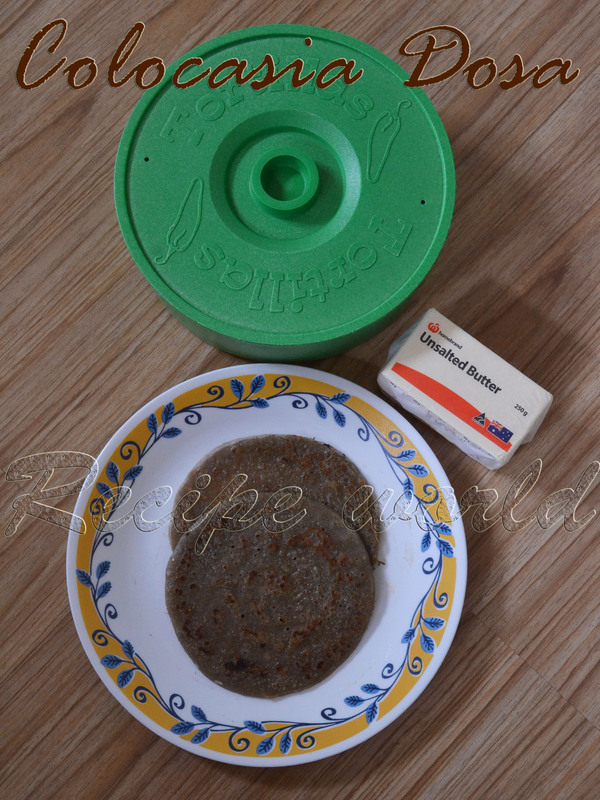 Once the cooked mixture cools down, mix it with drained rice and grind them into fine paste. No need to add any water while making the batter coz the cooked mixture will be watery which helps to make a smooth batter. 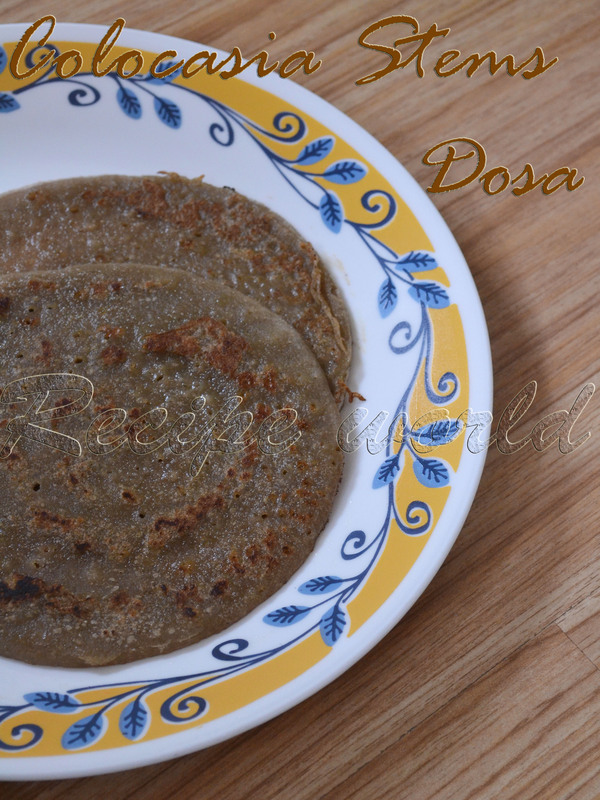 Allow the batter to set for 1 - 2 hours before making dosas. 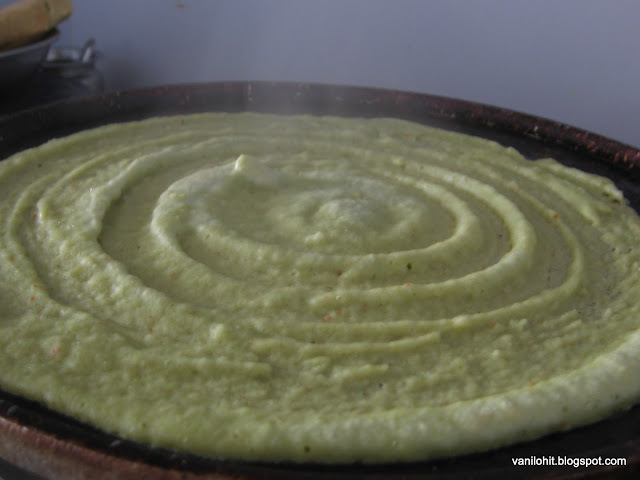 Heat the dosa pan. 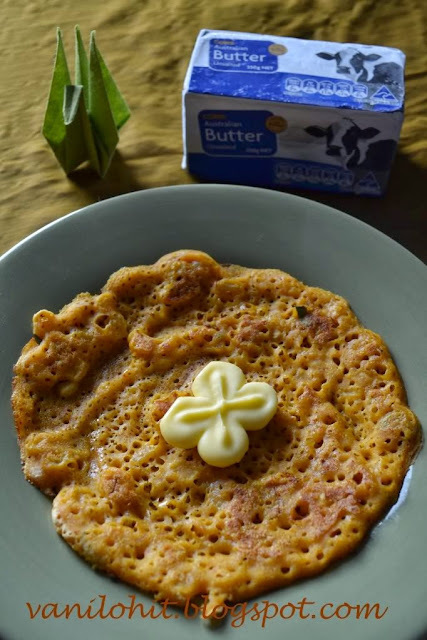 Pour a ladle full of batter and gently spread it into a semi-thick circle. Pour few drops of oil and cook it on both the sides. Enjoy them hot with some butter on the top! Kesuvina dantina dose? Looks interesting. We usually do sasive out of the stem. I must try this. Thanks for sharing.